(NASHVILLE, TN) – August 20, 2018 - The 2018 Black Music Honors recognized the legacy of Aretha Franklin during the award show taping on Thursday, August 16. . Hosted by 2017 Marconi Award Winner Rickey Smiley and singer/actress LeToya Luckett, the annual two-hour television special honors artists and musicians who have influenced and made significant contributions to American music. This year’s honorees were Bobby Brown, Faith Evans, Bebe & Cece Winans, Whodini, Stephanie Mills and Dallas Austin. ﻿The annual two-hour television special taping will broadcast in national syndication from Sept. 8-30, 2018 and will air on Bounce TV Sept. 28, 2018. Click here to see syndication airdates. For more information on Black Music Honors visit www.blackmusichonors.com. Connect with Black Music Honors on social media @blackmusichonors, #BMH2018 and #BlackMusicMatters. With 47 years of successful and innovative television production and marketing experience, Central City Productions (CCP) is a Chicago-based production company that focuses primarily on minority- targeted television. CCP is a full-service television production company that produces, syndicates, and manages advertising sales for all of its programs. CCP programs reflect the widespread diversity of talent, the one-time specials and the annual and/or weekly programs that have achieved tremendous mass audience appeal, including its flagship production of The Stellar Gospel Music Awards, and the Black Music Honors, which is now in it's third year of production. For more information on CCP, check out www.ccptv.com. The Human Rights Watch Film Festival will present 15 timely and provocative films, from June 14-21, 2018, that shine a bright light on bravery and resilience in challenging times. In a year when women collectively raised their voices against discrimination and abuse, Human Rights Watch will present films offering incisive perspectives and critical insights on human rights issues impacting people around the world. 12 of the 15 films are directed or co-directed by women. Now in its 29th edition, the Human Rights Watch Film Festival is co-presented by the Film Society of Lincoln Center and IFC Center. All screenings will be followed by in-depth question-and-answer sessions with filmmakers, film subjects, Human Rights Watch researchers, and special guests. This year’s festival turns the spotlight on strong women who take great risks to push back against powerful forces within their respective societies. And, at a time when the use of personal data by institutions is front-page news, this year’s program explores governmental and corporate regulation of information, and how, by burying the truth and creating their own narratives, these gatekeepers are uniquely positioned to abuse their power and control the populace. The Opening Night screening of the documentary On Her Shoulders introduces Nadia Murad, a 23-year-old Yazidi survivor of atrocities by ISIS who makes it her life’s mission to fight for justice and freedom for her people. Two documentaries highlight women’s rights in Afghanistan. A Thousand Girls Like Me follows a young mother seeking justice from a legal system designed to criminalize sexual abuse survivors like her. Facing the Dragon (winner of the festival’s Nestor Almendros 2 Award) profiles two intrepid Afghan women — a member of parliament and journalist — who risk the safety of their families to bring change and accountability to their country. Naila and the Uprising features courageous Palestinian women activists who played a pivotal role in the First Intifada, and in Women of the Venezuelan Chaos, five resilient women find creative ways to defend their fellow citizens, their families and their own lives amid the national crisis that has enveloped their country. In the profoundly moving and poetic Angkar, a filmmaker traces her father’s journey home to Cambodia to seek out his Khmer Rouge persecutors while confronting his country’s collective amnesia regarding their horrifying past. In The Silence of Others, survivors of the Franco dictatorship’s crimes against humanity refuse to relent in their pursuit of justice, despite Spain’s “pact of forgetting,” which has denied Franco’s victims legal recourse. The Cleaners reveals a murky world of digital “cleaning,” in which giant social media companies employ workers to delete internet content deemed inappropriate, raising essential questions over internet control and the life-threatening impact of erasing entire resistance movements from the world’s gaze. As always, the festival features critical human rights issues in the U.S., this year with three timely films. Charm City moves between community members, police and local officials during a period of heightened violence in Baltimore, exposing layers of disconnect and distrust that need to be addressed to move their city forward. TransMilitary focuses on the largest employer of transgender people in the country – the U.S. military – and the efforts of four brave people as they come forward to demand much-needed change. The Closing Night film, The Unafraid, introduces three high school students in Georgia, banned by the state from attending top state universities due to their unauthorized immigration status, and their passionate fight to pursue their dreams of higher education. Complete Program and Schedule Information at Human Rights Watch Film Festival. 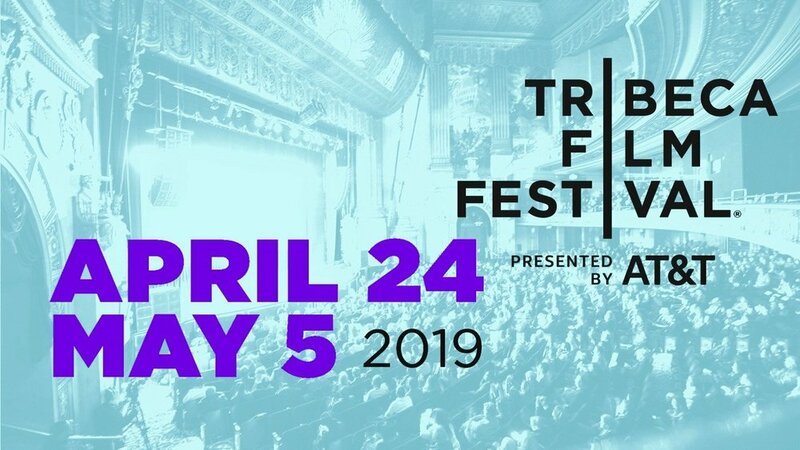 Public screenings and special programs will take place at the Film Society of Lincoln Center’s Elinor Bunin Munroe Film Center (144 W. 65th St) (FSLC) and at the IFC Center, 323 Avenue of the Americas (IFC). The opening night film, On Her Shoulders, will screen at the Film Society of Lincoln Center’s Walter Reade Theater, 165 W. 65th St. (WRT)(between Amsterdam and Broadway). ONE Musicfest, the Southeast's premier urban progressive music and arts festival - has announced the lineup for its 2018 festival. Now a two-day experience taking place Saturday, September 8 and Sunday, September 9 at Central Park in Atlanta, GA, ONE Musicfest will feature Nas, Cardi B, Miguel, T.I., Jeezy, Big Sean, Kelis, Brandy, August Greene, Big KRIT, George Clinton & Parliament and more. For additional information and tickets, visit ONEMusicfest.com. Hailed as one of the nation's "Can't Miss Festivals," ONE Musicfest returns for its ninth year with an unforgettable weekend of high-energy performances and unique cultural experiences. Over 20,000 attended last year, generating over 1.8 billion impressions and rave reviews from USA Today, Associated Press, Huffington Post and VIBE. This year, ONE Musicfest has curated a diverse lineup of music powerhouses, radio chart-toppers and icons. From the rap god Nas to hip-hop it-girl Cardi B to the legendary George Clinton & Parliament, the festival offers something for music lovers of all kinds. "We are all super excited about OMF 2018," says founder Jason "J" Carter. "Growing into a two-day festival allows us to expand our roster, highlight more of the music that we love and give our audience an experience unlike any!" Purchase your tickets today at ONEMusicfest.com. ONE Musicfest is the Southeast's largest annual urban progressive music festival, featuring a diverse range of music, including classic and next generation hip-hop, soulful R&B, alternative, and rock. Started in 2010, ONE Musicfest is now recognized as one of the most highly-anticipated celebrations of the arts in the Southeast, with this year's festival expecting an attendance of 20,000 music lovers from throughout the country. Daniel Guillaro is a NYC-based filmmaker. Since graduating Fordham University in 2012, he has worked as a freelance cinematographer and editor for documentaries and short films. He also produces videos for non-profits. Since he was young he's always wanted to tell stories that engage audiences and elevate our collective understanding of what it is to be human. 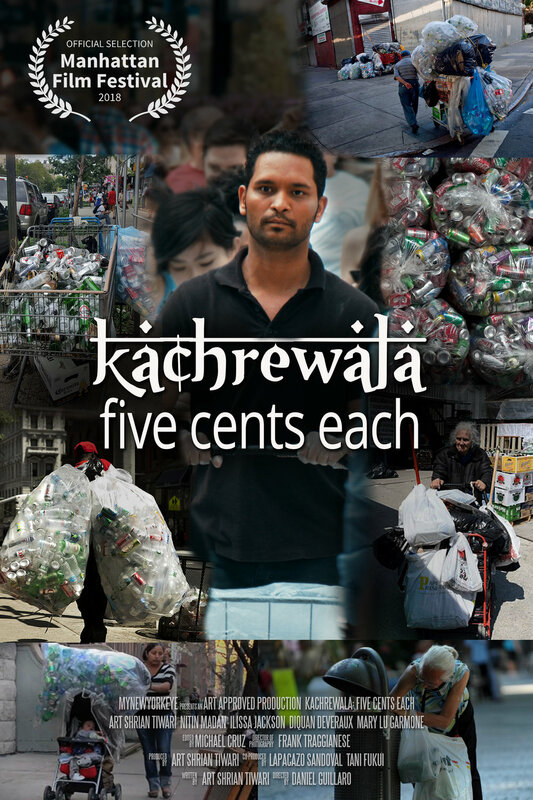 His first project as a director is "KACHREWALA: Five Cents Each". 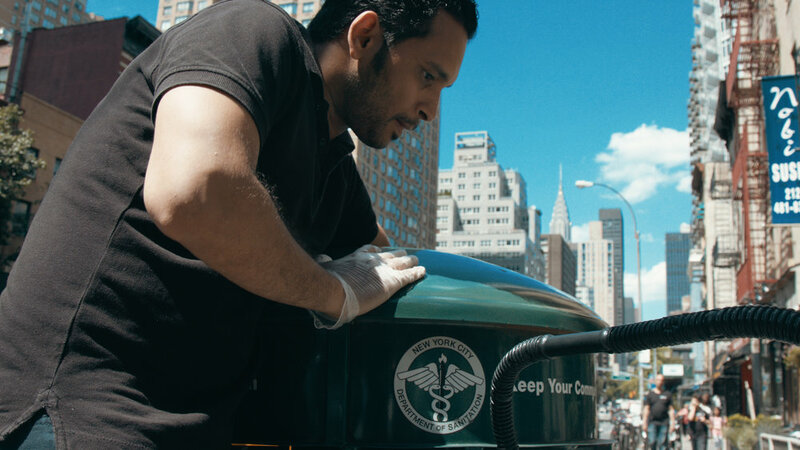 The short film is premiering at Manhattan Film Festival on April 24th. We talked to Dan, here are the excerpts. What inspired you to get into the film business? I think movies have a unique ability to shape the way people can view what's possible. Not just in a technological sense but in a more personal and emotional sense. I guess novels can do that too but making movies is more fun. How was the process of making this film, and what did you learn in the process? Making Kachrewala: five cents each was pretty hectic. We shot in all in two days on a pretty tight schedule with a very light crew in Manhattan. We even had to arrange the timing of shooting one of our scenes with alternate-side parking rules on that street. All in all I learned how helpful it is to surround yourself with a dedicated and competent crew, as our crew did a great job dealing with the challenges of shooting in the city. How did working on this subject personally impact you? 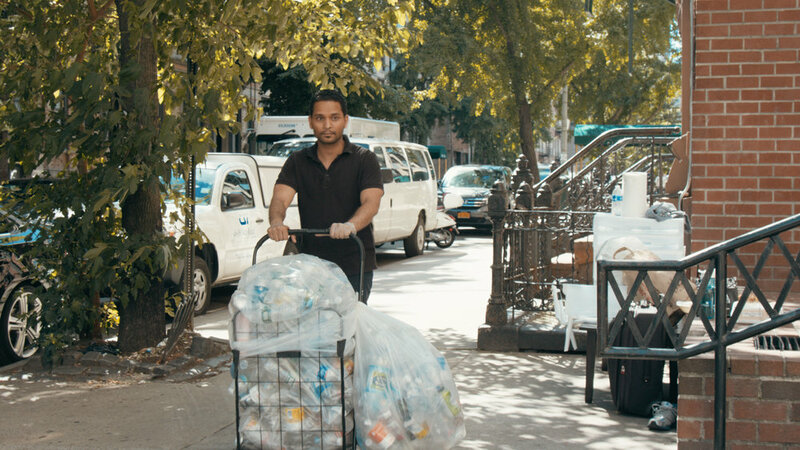 Working on this project opened my eyes to this subculture of bottle collectors. It reminded me that there are all sorts of lives being lived in New York. Some are unfortunate enough to have to pick bottles for extra cash, but they are driven enough that they want to make that cash themselves by putting in the work. There's hard work being done everywhere in New York. What are your favorite Filmmakers and films? It's hard to say who my favorite filmmakers are because I don't think I gravitate toward any particular style. But here are three that are kind of representative of why I love movies: Wings of Desire, Ed Wood, and Blade Runner. As a New Yorker, what's your most favorite and least favorite thing about New York? My favorite thing about New York is it's full of life and in your all the time. My least favorite thing about New York is it's full of life and in your face all the time. So it kind of evens out. (CHICAGO) – Feb. 26, 2018 - Central City Productions announces a dazzling line-up of performers for the 2018 Annual Stellar Gospel Music Awards, including the reunion of contemporary gospel music’s favorite sister act, Mary Mary (Erica Campbell and Tina Campbell), and the Stellar Award's debut of rapper, actor, and television personality Snoop Dogg, performing songs from his new gospel album “Songs of Love” at this year’s show. Celebrated as a "transcendent night of gospel music," the 33rd Annual Stellar Awards promises to surpass its ‘stellar' reputation, featuring performances by the genre’s hottest acts. Performers scheduled to appear include: Tasha Cobbs Leonard, Travis Greene, Tye Tribbett, Anthony Brown & group therAPy, Kierra Sheard, KeKe Wyatt, Jonathan McReynolds, Tasha Page-Lockhart, Todd Dulaney, Koryn Hawthorne and Ricky Dillard & New G, among others. Returning to Las Vegas' Orleans Arena on Saturday, March 24, 2018 the Stellar Awards welcomes the return of the undisputed crown prince of contemporary gospel music, Kirk Franklin, as host. Diversity and Inclusion continues with 90th Oscars® ceremony airing live on Hosted by Jimmy Kimmel. 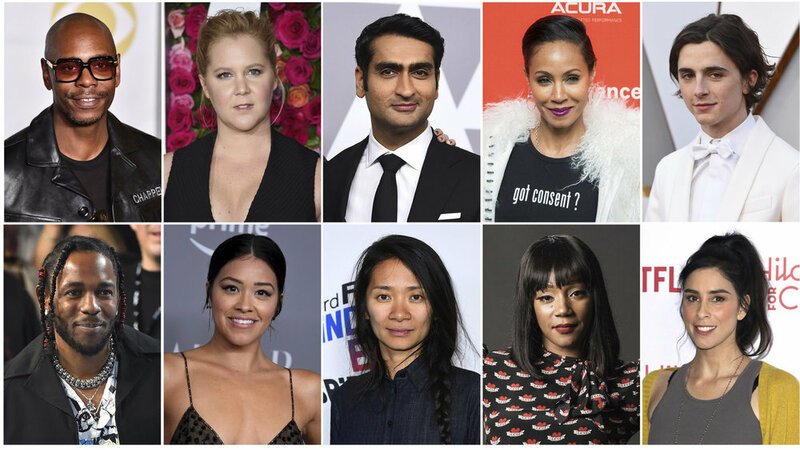 Diversity and inclusion continues to be the mandate of the Academy as new presenters are added to the 90th Oscars® ceremony including Gael García Bernal, Mary J. Blige, Andra Day, Natalia LaFourcade, Miguel, Keala Settle, Sufjan Stevens and Oscar® winner Common will also perform this year's nominated songs at the 90th Oscars® ceremony, show producers which were announced by Michael De Luca and Jennifer Todd. Bernal, LaFourcade, and Miguel will perform the Oscar-nominated song “Remember Me” from “Coco”; Music and Lyric by Kristen Anderson-Lopez and Robert Lopez. Blige will perform “Mighty River,” from “Mudbound,” the Oscar-nominated song she co-wrote with Raphael Saadiq and Taura Stinson. Blige is also Oscar-nominated this year for Actress in a Supporting Role for “Mudbound.” She is the first person to be nominated for both a performance and Original Song in the same year. Additionally, she has won nine Grammy Awards, having been nominated 31 times. Common and Andra Day will perform his Oscar-nominated song “Stand Up For Something” from “Marshall”; Music by Diane Warren; Lyric by Lonnie R. Lynn (Common) and Diane Warren. Common won an Oscar with John Stephens (John Legend), for Original Song for “Glory” from the film “Selma” (2014). He has received 20 Grammy Award nominations and has won three times. His recent acting credits include “John Wick: Chapter 2” (2017) and “Selma.” Day is a three-time Grammy Award nominee. Her acting credits include “Marshall” and “Cars 3” (2017). Settle will perform the Oscar-nominated song “This is Me” from “The Greatest Showman”; Music and Lyric by Benj Pasek and Justin Paul. Settle is a Tony Award®-nominated singer and actress. Her film credits include “The Greatest Showman” (2017) and “Ricki and the Flash” (2015). Stevens will perform his Oscar-nominated song “Mystery of Love,” written for “Call Me by Your Name.” Stevens is a singer, songwriter, and instrumentalist. A prolific artist whose career spans nearly 20 years and 11 albums, his work has been featured on the soundtracks for “Whiskey Tango Foxtrot” (2016), “Demolition” (2015) and the Oscar-winning film “Little Miss Sunshine” (2006), among others. The LAUNCH, co-founded by Producers Jason Shuman (Rebel in the Rye, Lone Survivor) and Zachary Green (Spartan) is a first of its kind Million Dollar Screenplay Competition for college students, whose mission is to find the next generation of great screenwriters from around the world. The LAUNCH is awarding $100,000 in education grants to the eight (8) finalists, with the grand prize winner having his or her screenplay produced as a feature film with a budget of at least $1 million. This is an international competition open to students who are enrolled in an accredited two-year, four-year college/university or graduate program. Accepting submissions from Thursday, March 1 through Thursday, May 31, 2018, The LAUNCH will be looking for screenplays with great stories, original voices and honest emotion in any genre. Winners will be announced in August with an anticipated start of production slated for Q4 2018. The LAUNCH Board of Advisors, which will act as the final judging panel for the competition, includes Award-Winning Casting Director Barbara Fiorentino, Screenwriter Eduardo Cisneros, APA Agent Chris Ridenhour, Educator Madeleine Sherak, PhD, Valor Entertainment Manager Carlos Bobadilla and Actor Caitlin Mehner, amongst additional industry experts. For more information on additional prizes, rules of entry and to submit scripts please visit www.launchscreenplay.com. A reduced fee will be available to early entry applicants from Thursday, March 1st through Saturday, March 31st. The LAUNCH is a first of its kind Million Dollar Screenplay Fellowship co-created by Jason Shuman and Zachary Green to find the next generation of great screenwriters from around the world. The LAUNCH is awarding $100,000 in education grants with the grand prize winner having his or her screenplay produced as a feature film with a budget of at least $1 million. Zachary Green is an entrepreneur and film producer with extensive experience in brand storytelling with brands such as McDonald’s, Toys R Us, Warner Bros., Paramount, and more. He is collaborating with Jason Shuman on a slate of feature films and a handful of television shows, which are in various stages of development and production. Currently, Green and Shuman are producing the heist/thriller Panthers, and action/thriller Spartan, both scheduled to begin principal photography in 2018. (L-R) Matria, Credit: Lucia C. Pan; Hair Wolf, Credit: Charlotte Hornsby; Would You Look At Her, Credit: Courtesy of Sundance Institute. Park City, Utah — Winners of the 2018 Sundance Film Festival jury prizes in short filmmaking were announced on Jan 23, by Sundance Institute at a ceremony in Park City, Utah. The Short Film Grand Jury Prize, awarded to one film in the program of 69 shorts selected from 8,740 submissions, went to Matria, written and directed by Álvaro Gago. Full video of the ceremony is at youtube.com/sff. The Short Film program is presented by YouTube, as part of their ongoing support for emerging storytellers, unique voices and independent artists. 2018 marks the sixth year YouTube has been the official sponsor of the Sundance Film Festival Shorts program. This year's Short Film jurors are Cherien Dabis, Shirley Manson and Chris Ware. Short Film awards winners in previous years include And so we put goldfish in the pool. by Makato Nagahisa, Thunder Road by Jim Cummings, World of Tomorrow by Don Hertzfeldt, SMILF by Frankie Shaw, Of God and Dogs by Abounaddara Collective, Gregory Go Boom by Janicza Bravo, The Whistle by Grzegorz Zariczny, Whiplash by Damien Chazelle, FISHING WITHOUT NETS by Cutter Hodierne, The Tsunami and the Cherry Blossom by Lucy Walker and The Arm by Brie Larson, Sarah Ramos and Jessie Ennis. The Short Film Grand Jury Prize was awarded to: Matria / Spain (Director and screenwriter: Álvaro Gago) — Faced with a challenging daily routine, Ramona tries to take refuge in her relationships with her daughter and granddaughter. The Short Film Jury Award: U.S. Fiction was presented to: Hair Wolf / U.S.A. (Director and screenwriter: Mariama Diallo) — In a black hair salon in gentrifying Brooklyn, the local residents fend off a strange new monster: white women intent on sucking the lifeblood from black culture. The Short Film Jury Award: International Fiction was presented to: Would You Look at Her / Macedonia (Director and screenwriter: Goran Stolevski) — A hard-headed tomboy spots the unlikely solution to all her problems in an all-male religious ritual. The Short Film Jury Award: Non-fiction was presented to: The Trader (Sovdagari) / Georgia (Director: Tamta Gabrichidze) — Gela sells secondhand clothes and household items in places where money is potatoes. The Short Film Jury Award: Animation was presented to: GLUCOSE / U.S.A. (Director and screenwriter: Jeron Braxton) — Sugar was the engine of the slave trade that brought millions of Africans to America. Glucose is sweet, marketable and easy to consume, but its surface satisfaction is a thin coating on the pain of many disenfranchised people. A Special Jury Award was presented to: Emergency / U.S.A. (Director: Carey Williams, Screenwriter: K.D. Dávila) — Faced with an emergency situation, a group of young Black and Latino friends carefully weigh the pros and cons of calling the police. A Special Jury Award was presented to: Fauve / Canada (Director and screenwriter: Jérémy Comte) — Set in a surface mine, two boys sink into a seemingly innocent power game, with Mother Nature as the sole observer. A Special Jury Award was presented to: For Nonna Anna / Canada (Director and screenwriter: Luis De Filippis) — A trans girl cares for her Italian grandmother. She assumes that her Nonna disapproves of her – but instead discovers a tender bond in their shared vulnerability. Featured as one of ASCAP's Composers to Watch and recipient of the ASCAP Foundation Henry Mancini Fellowship, Ariel Marx is an award-winning composer and multi-instrumentalist for film, TV, and multimedia. Most recently, Ariel completed the score for two projects that will premiere at the 2018 Sundance Film Festival, Jennifer Fox’s “The Tale” starring Laura Dern, Jason Ritter, and Common and “Hair Wolf” a short film that takes places in gentrifying Brooklyn. She has also scored dramas “West of Her” and “By Jingo.” Outside of film, she has scored television series including comedy series “UnChartered” and “The Pioneers.” Ariel has additionally contributed to “Blind” starring Demi Moore and Alec Baldwin, and assisted composer Marcelo Zarvos on Showtime’s “The Affair” starring Dominic West and Ruth Wilson, as well as, Amazon’s “Z: The Beginning of Everything” starring Christina Ricci and “Wonder” starring Julia Roberts and Owen Wilson. Her scores have premiered alongside films at national and international film festivals, such as Sundance, Tribeca, and SXSW—winning awards at several for her musical contributions. Ariel draws from many different genres and often combines orchestral and folk instruments with electronics to create unique worlds of sound. Ariel earned her Masters of Music degree in composition with a concentration in film scoring from New York University's Steinhardt program, and is currently an Adjunct Faculty. We had a chat with Ariel, here are the excerpts. What's your process of composing music for a film. Do you read the script, collaborate with director, and what more/else? It really depends from project to project, and what stage of the process I come in at. For instance, on a film I’m currently working on, I was able to read the script before it was filmed and visit the set. With “The Tale,” the film had already been shot and edited, so I was working with a final product. Regardless of what stage I come in at, to me, the most important step is determining the palette. What is the tone of the score? What instrumentation? What sort of presence will it have? After these larger aesthetics are established, I dive into writing specific themes and scoring individual scenes, always keeping the bigger picture in mind. What was the most challenging part of working on this particular film? Perhaps the most challenging aspect of scoring this film was to convey the complexity of the mechanics of memory and perspective through music. I ultimately settled on writing a score that had several individualized, self-sustaining motors — or spinning gears — that could interlock and separate and join again, transformed — just like our memories, and perceptions of them. What are your favorite films (from music perspective) and your favorite composers? This is a hard question because there are so many incredible working composers. This answer could really change from day to day, but in this moment, my two answers are the collaborations between composer Jonny Greenwood and director Paul Thomas Anderson and director Joe Wright and composer Dario Marianelli. What's your advice to other aspiring musicians and composers who want to break into this business? The best advice I received was that no one gets into this business the same way — there is no formulaic strategy to success. This has always inspired me because there is no uniform checklist of pre-requisites, and therefore you have to be your own trailblazer. All of the opportunities that have come my way are from connections I made with new filmmakers in New York City while I was in school. My best advice is to develop a unique and authentic voice, find kindred collaborators that create stories that inspire you, and push yourself to grow as a composer and collaborator. PARK CITY, UT – JANUARY 21, 2018 – In celebration of the 75th anniversary of the Golden Globe® Awards, the Hollywood Foreign Press Association (HFPA) continued their series of special events, this time at the 2018 Sundance Film Festival. The HFPA hosted a special “Women Breaking Barriers” panel featuring accomplished women from various fields in the film industry, moderated by HFPA member Elisabeth Sereda, who opened the session by announcing a $50.000 HFPA grant to the Sundance Institute Women’s programs. Panelists included Tina Lifford (Award-winning actress currently starring in “Queen Sugar” and founder and motivational speaker of The Inner Fitness Project), Reed Morano (Award-winning cinematographer and director; “I Think We’re Alone Now"), Sandra Oh (Golden Globe-winner; starring in and associate producer of BBC America’s “Killing Eve”), Cathy Schulman (Award-winning producer and president of Women in Film), and Octavia Spencer (Golden Globe-winner; currently starring in “The Shape of Water"). The panel was held at the Sundance TV Headquarters. The Hollywood Foreign Press Association (HFPA) was founded in 1943 as the Hollywood Foreign Correspondents Association (HFCA) by a group of entertainment journalists representing world media in Hollywood, who realized the need to unite and organize to gain the recognition and access to studios and talent accorded to the domestic press. All qualified journalists were accepted, with the bold goal of “Unity Without Discrimination of Religion or Race.” A year later, the HFCA created the Golden Globe Awards which, to this day, the entire membership selects, votes on and awards every year for outstanding achievements in motion pictures and television. This year marks the 75th anniversary of the Golden Globe Awards. Members of the HFPA represent 56 countries with a combined readership of 250 million in some of the world’s most respected publications. Each year, the organization holds the third most watched awards show on television, the Golden Globe® Awards, which has enabled the organization to donate $30 million to entertainment-related charities, scholarship programs and humanitarian efforts over the last 25 years. Last year, the HFPA distributed $3 million in grants through their Charitable Trust to a diverse group of organizations and institutions within the entertainment industry. For more information, please visit www.GoldenGlobes.com and follow us on Twitter (@GoldenGlobes), Instagram (@GoldenGlobes), and Facebook (www.facebook.com/GoldenGlobes). Nominees chosen by their respective SAG Awards film and television nominating committees were announced on Dec. 13, 2017. Two nominating panels — one for television and one for film — each composed of 2,500 randomly selected union members from across the United States, chose this year’s nominees. Final voting information was sent to the 121,544 SAG-AFTRA members in good standing across the country. Balloting closed at noon on Friday, Jan. 19. Integrity Voting Systems, the Awards' official election teller, sealed the results until they were announced live during the 24th Annual Screen Actors Guild Awards. The 24th Annual Screen Actors Guild Awards® presented by SAG-AFTRA with Screen Actors Guild Awards, LLC and hosted by Kristen Bell, is produced by Avalon Harbor Entertainment. Inc. and was simulcast live on TNT and TBS on Sunday, January. 21, 2018 at 8 p.m. ET / 5 p.m. PT. TNT and TBS subscribers also had the option to watch the SAG Awards live through the networks' websites, mobile apps (iOS, Android), and connected device apps (Roku, Apple TV, Amazon Fire). The telecast is available internationally, including to U.S. military installations through the American Forces Network.